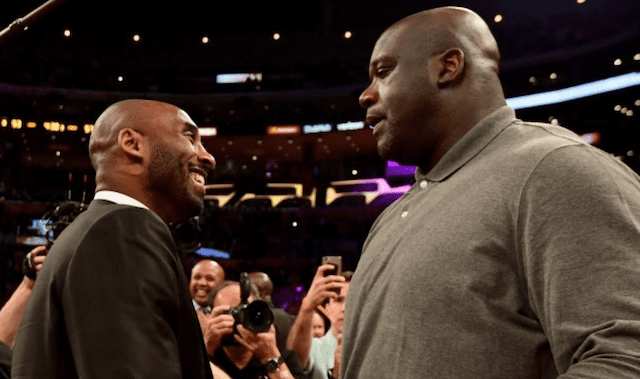 Using an overtime win against the Oklahoma City Thunder as a springboard, the Los Angeles Lakers were in the midst of putting together another impressive effort. 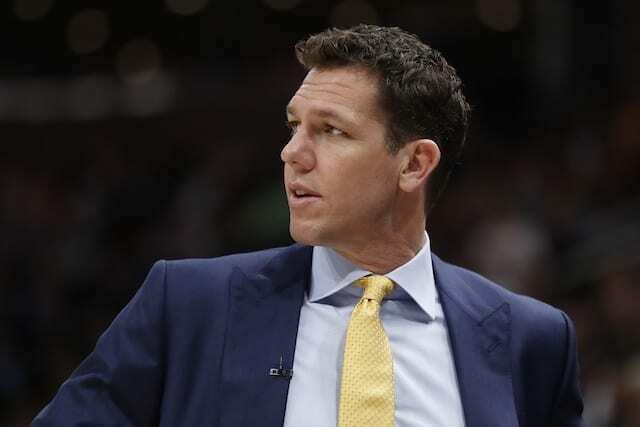 But Lonzo Ball suffered an injury in the third quarter and the Rockets erased what was once a 21-point deficit for a 138-134 win in overtime. 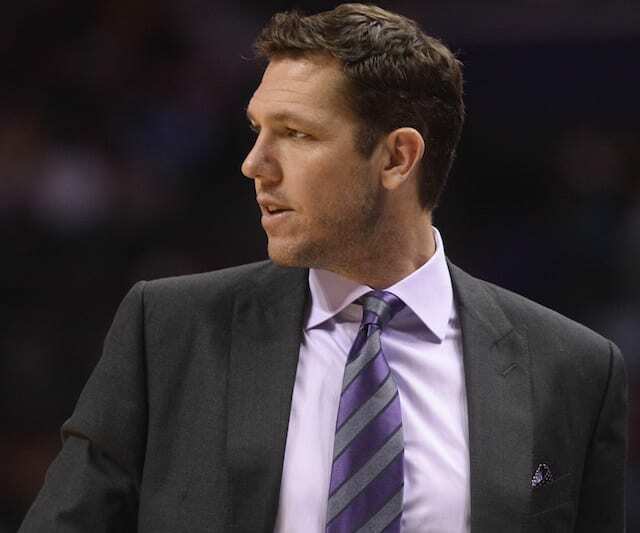 Lakers head coach Luke Walton joked prior to tipoff he’d consider it a success if his team was able to keep James Harden under 50 points. 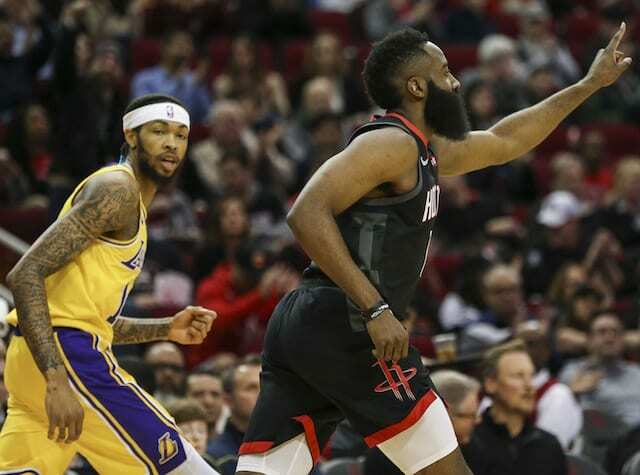 Harden finished with 48 points, with the Lakers managing to largely limit his impact until late in the game and into overtime. They regularly forced Harden to his right, playing zone defense and daring other members of the shorthanded Rockets to beat them. Kyle Kuzma helped the Lakers get off to a strong start, scoring 20 points in the first quarter behind hot three-point shooting. 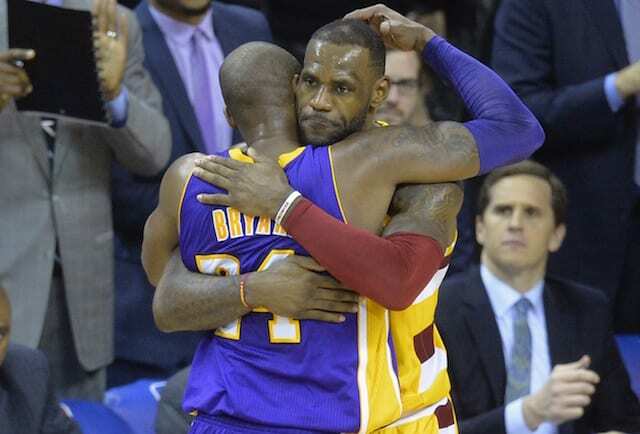 It was the highest-scoring first quarter by a Lakers player since Kobe Bryant in 2011. As Ivica Zubac was taking advantage of a mismatch on the block, Ball and Brandon Ingram continued to push the pace in the second quarter. The result was the Lakers extending their lead to as many as 21 points. 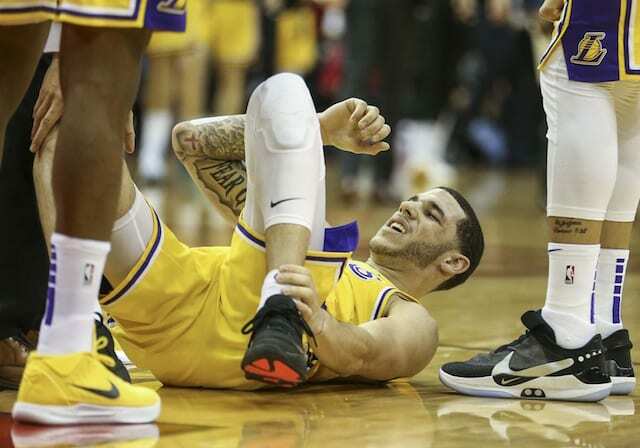 However, all of their momentum came to a grinding halt in the third quarter when Ball collided with James Ennis III and rolled his left ankle. Ball was writhing in pain before the Lakers could call a timeout, and he was carried off the court by teammates. He was diagnosed with a sprained left ankle and taken to a local hospital for X-rays because the machine at Toyota Center was not functioning properly. The Rockets immediately erased their deficit before the Lakers could find their legs. L.A. took an 86-82 lead into the fourth quarter but out of sorts on offense without Ball. Lance Stephenson helped provide some stability with a barrage of 3-pointers. A dry spell late in the fourth allowed the Rockets to get within a single possession on back-to-back threes by Harden and Eric Gordon. Free throws by Zubac and Ingram staved off the rally, and two more from Zubac put the Lakers back ahead by three points with under five seconds remaining. That proved to be somewhat futile, though prevented a loss, as Gordon answered with a game-tying three-pointer. The teams traded baskets in overtime, with Ingram helping pull the Lakers even after the Rockets scored the first six points. With an opportunity to potentially tie or take the lead, the Lakers turned the ball over out of a timeout and the game slipped away with it.